The sporty and versatile new 2018 Honda Fit will begin to arrive at Honda dealerships today with a stylish new look, updated technology, available safety features and a Manufacturer’s Suggested Retail Price (MSRP1) starting at $16,190. The 2018 Honda Fit also adds a new Sport trim, as well as two new exterior colors, Helios Yellow and Orange Fury. 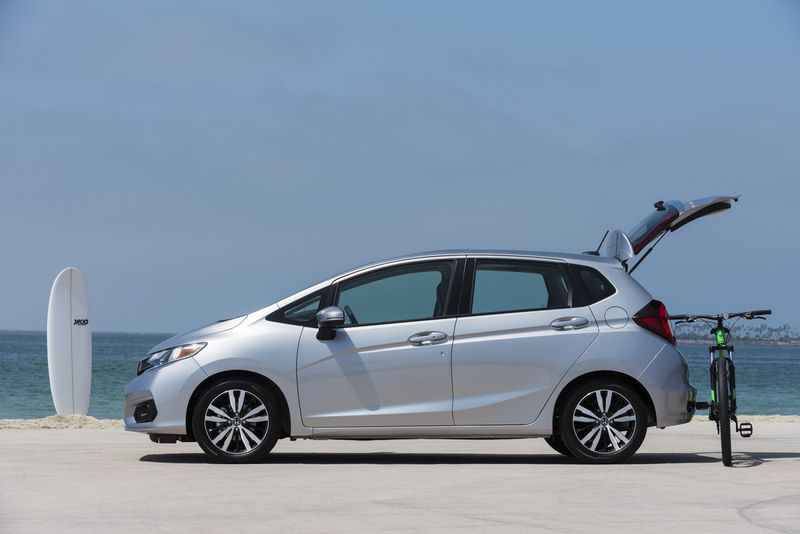 The refresh of the third generation Honda Fit enhances the 5-door subcompact’s already best-in-class combination of passenger space, fuel efficiency, sophistication, practicality and affordability. 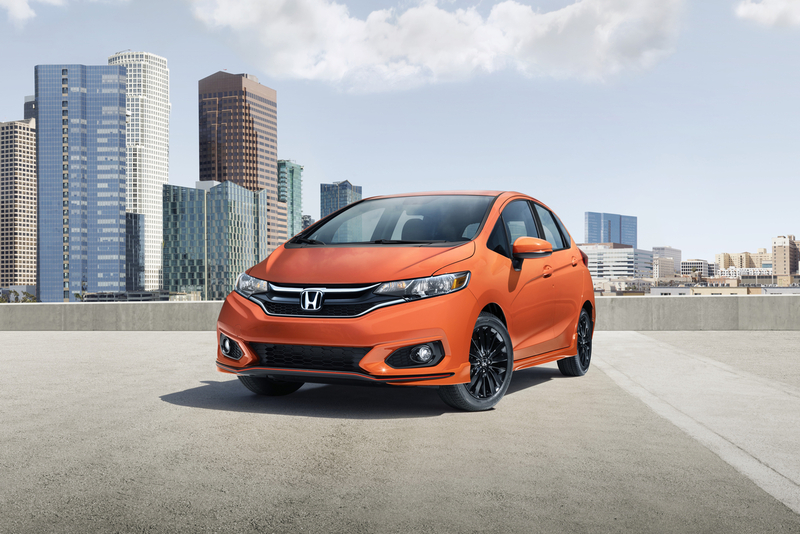 The all-new 2018 Fit Sport adds an extra dose of style and attitude thanks to an aggressive aero-form front spoiler and rear diffuser, bright orange pin-striping, 16-inch aluminum alloy wheels with gloss-black finish, chrome exhaust-pipe finisher and side sill garnishes. Inside, the Sport features a black interior with orange contrast stitching. Among the upgraded features, the Honda Sensing® suite of advanced safety and driver assistive features is available on all 2018 Fit models and is standard on EX and above trims, a first for the Fit. The suite includes Adaptive Cruise Control (ACC), Collision Mitigation Brake Braking System™ (CMBS™) incorporating Forward Collision Warning (FCW), Lane Keeping Assist System (LKAS) and Road Departure Mitigation (RDM) with Lane Departure Warning (LDW). Also new for 2018, is a 7-inch Display Audio touchscreen featuring Apple CarPlay™ and Android Auto™ compatibility, included on Fit Sport, EX and EX-L trims. 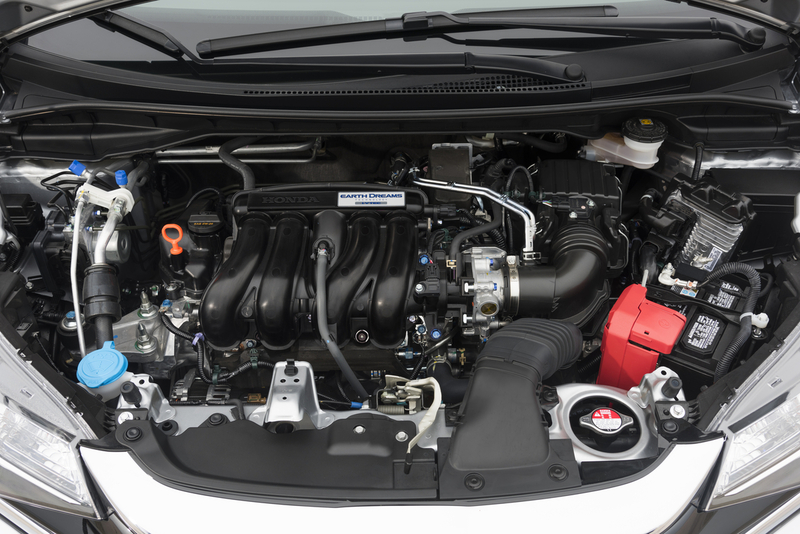 The 2018 Fit is equipped with a 1.5L DOHC direct-injected 4-cylinder i-VTEC™ engine with Variable Cam Timing (VTC) delivering up to 130 horsepower @ 6,800 rpm and up to 114 lb.-ft. of torque at 4,600 rpm (both SAE net). The Fit’s top-of-segment driving dynamics have been improved for 2018 with retuned suspension dampers, a more rigid steering system and additional body reinforcements. In addition to dynamic improvements, Fit now benefits from increased cabin quietness with improved transmission and steering system mounting hardware, combined with the addition of acoustic-laminated glass and more insulation throughout the vehicle. The 2018 Honda Fit for the U.S. market is manufactured in North America at Honda’s Celaya, Mexico plant using domestic and globally sourced parts.